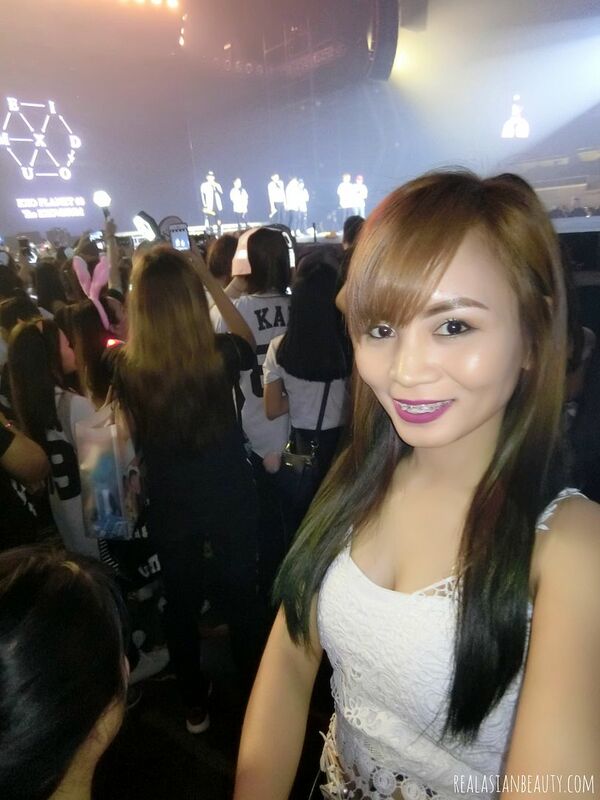 EXO-L is definitely one of the luckiest fan clubs in the Philippines. Aside from the fact that EXO comes to the Philippines almost every year, they also get to watch the boys perform twice in a row per tour! How awesome is that, really? 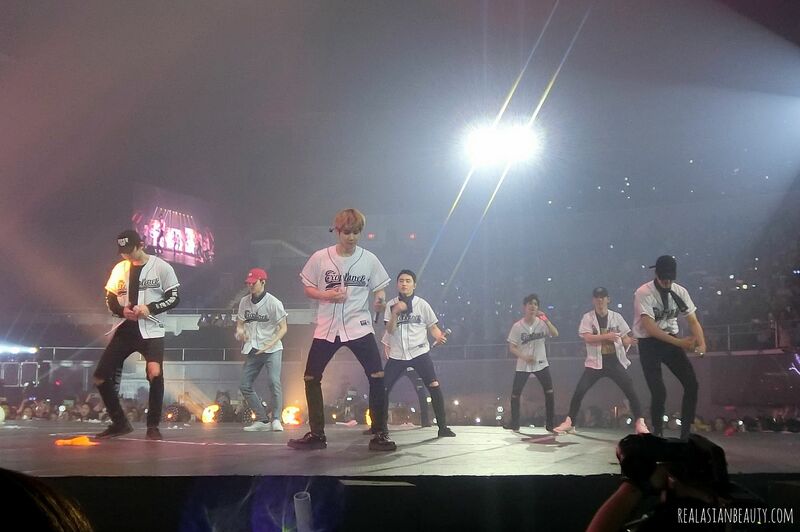 The first two-night concert tour was the EXO'LUXION and now, after just a year, they are back with EXO'rDIUM! 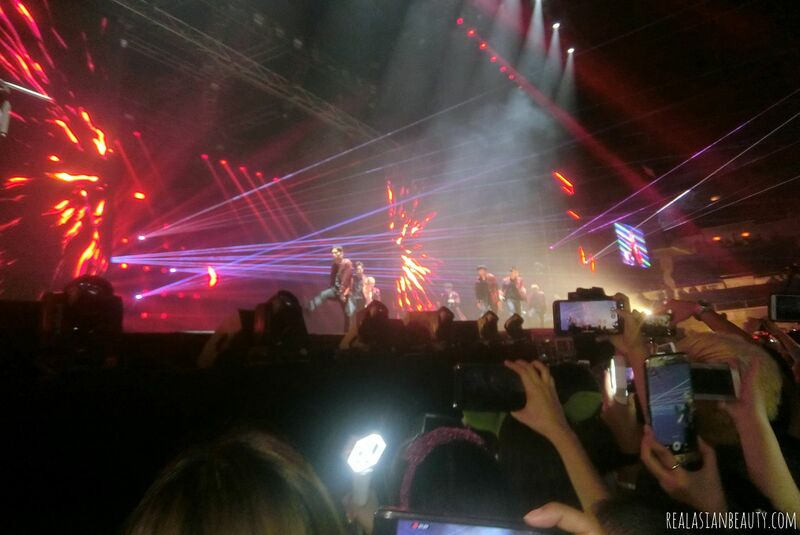 I didn't know I'd be able to see EXO live in concert this time because of few reasons. 1.) I already have a Boyfriend. 2.) My BF does not think it's right to spend almost Php 13,000 in just 1 night. 3.) I don't think it's right to spend Php 13,000 in just 1 night when I could use the money to travel for a few days with my BF somewhere else. I was already sure I had 0% hope to see EXO live this year when I suddenly got a message from BeautyPlus PH! They asked me if I would be open to host an EXO Concert Ticket Giveaway for them! Of course, who would ever say no to an offer as big as that?! 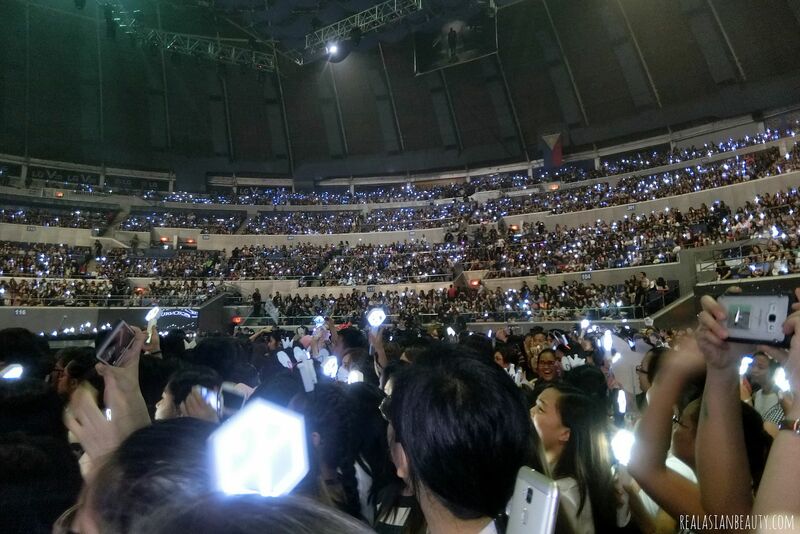 The EXO EXO'rDIUM in Manila was held at the SMART Araneta Coliseum in Quezon City. A stadium that sits right at the heart of the metro. EXO-L's got the chance to choose between February 25, 2017 and February 26, 2017! I secretly squeal whenever I get invited to events that are held at Araneta Coliseum. I hate the traffic jam here in Manila so I always try to avoid it. 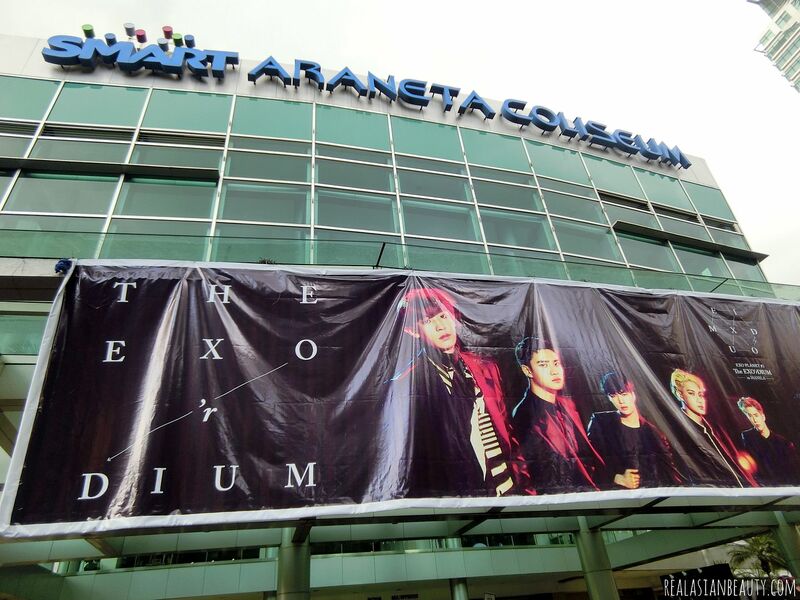 Araneta Coliseum is just 10-15 minutes away fro my house that I could literally walk from my house to the said venue! 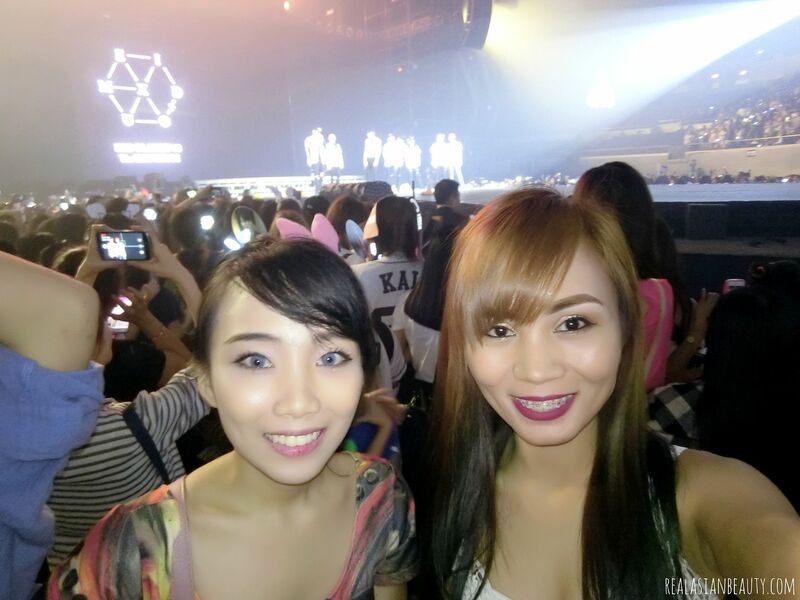 ME with our EXO ticket giveaway winner, Aleili and Ms. Bijae, Marketing of BeautyPlus PH. True enough, we only waited in line for about 2 hours since we went to the proper gate to line up. We would've waited lesser if we went at around 5PM, which was the time they started allowing people to get inside the stadium. Our que number was 404 and 405. 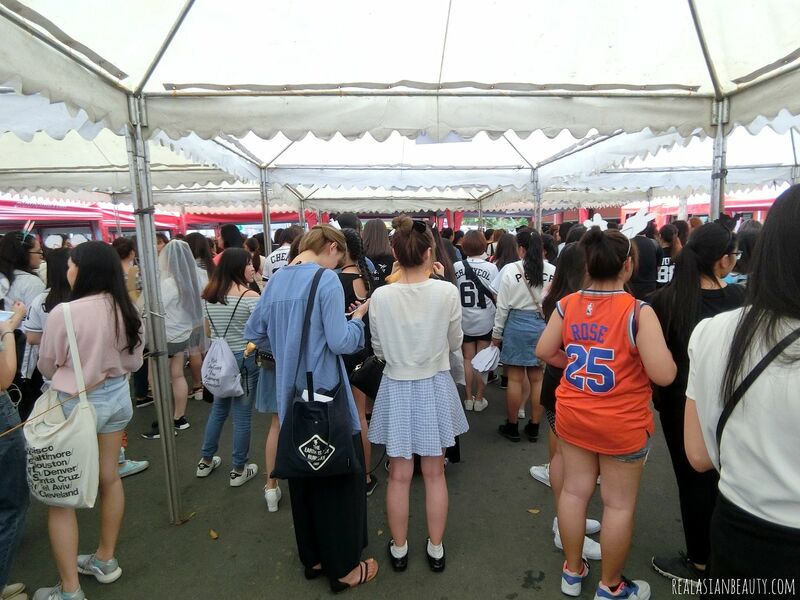 To be honest, I lost hope that we'd be able to get front-line area. This is your view of the audience and the stage if you choose the VIP Standing Area. I heard you! Is VIP Standing Area better than VIP Seated Area when both costs the same amount? Here's my two cents. 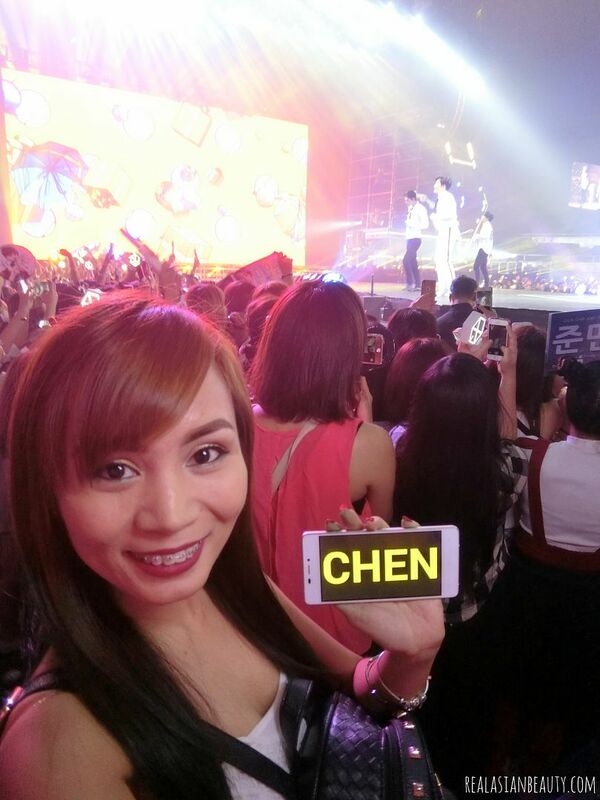 -If you want to try your luck and hand your phone over to the boys for a "selfie"
-You want more stable and decent "fan-cams"
My favorite in the group is CHEN. I was extremely happy when I finally got a free CHEN banner! For those who haven't been to a K-pop concert yet, this is actually one of your tasks. Find and collect as many free banners as you can. Fan sites and Noona fans usually provide these for free. All you have to do is to either show them you ticket or show your phone or any proof that you really are going to the concert. If you want to ask for a banner of a specific person, some also ask for proof that your bias is the person written on the banner. If reading is not your thing, then go ahead and feel free to PLAY THE VIDEO below. I vlogged my concert experience. I also included few fan-cams. I did the vlog in Filipino, though. 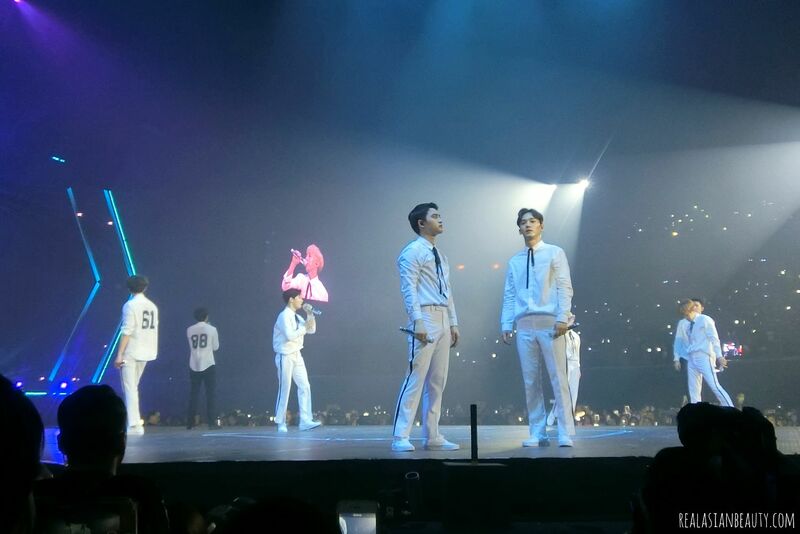 By the way, just like with the EXO'LUXION concert, Lay didn't make it due to some conflicts. I feel bad for people that bought tickets just to see him in person. It must be so sad and disappointing. At exactly 7:30 PM, the show started with a literal bang! 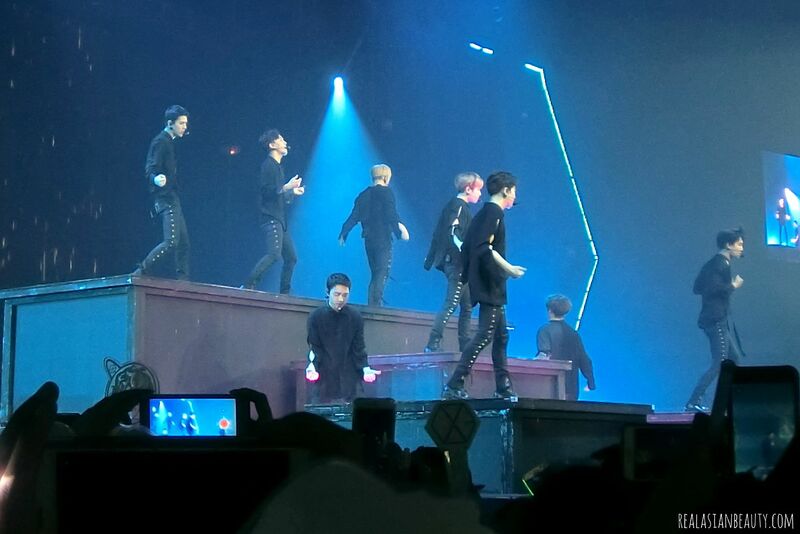 My camera isn't really good at taking low-light photos so my photos don't give much justice to EXO'rDIUM. 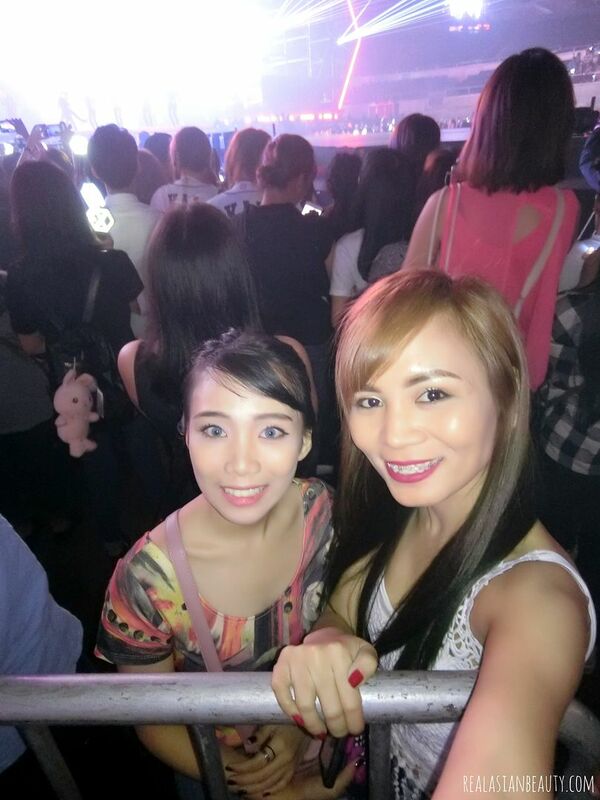 Yep, so Aleili and I tried our luck and squeezed ourselves near the stage. We were able to make it to the 4th row from the stage. I thought it was a good spot but I was proven wrong when the show started. I am really short in person and most of the people in front of us were foreign Chinese, Korean and Japanese fans that are obviously taller than us. On top of that, phones were all over my head. I could only see the boys through their screens! Geez, so much for paying Php 13,000, eh? Because of that, we decided to just back-off and let the others occupy the front area while Aleili and I just enjoy the show from the back. I reckon it's a better idea because we got rid of phones and napes and tall heads from our vision. It was also nice to be able to dance to the songs and move around and follow your bias while they move around their stage. For me, its like a 180'Degree stage experience! We ended up being really close to the extended stage. (Hmmm, if only not for the C fan beside me who didn't want to share the space, I would've made it in front of the extended stage, which was soooo close to where they usually position when they dance. But since the tall C fan didn't want to share the space and was literally watching the show on her phone screen rather than in real life because she was too busy capturing the whole show on her phone for God know's what for, I decided to just back-off a few steps. We finally decided to just stay in front of the barricade that protects the audio section/show crew. It wasn't really bad because I was in the 3rd row from the stage. 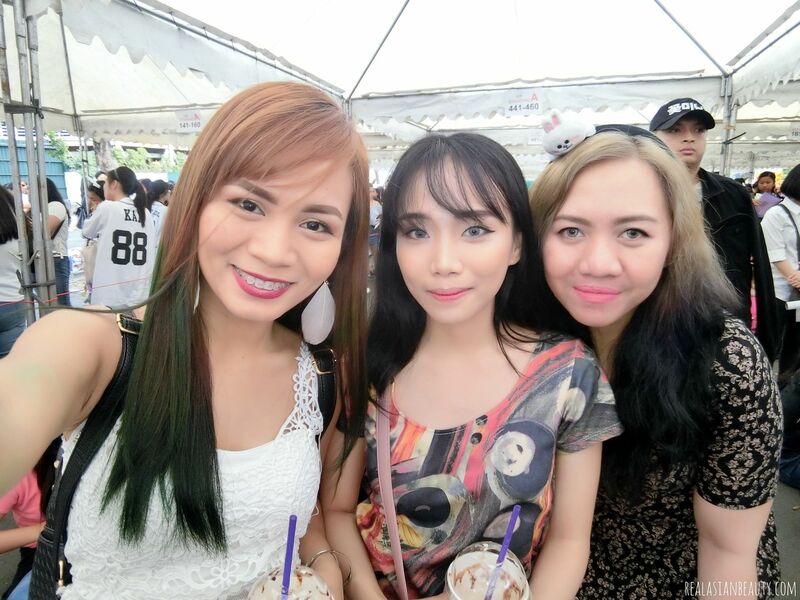 And the best part was that some security men saw me and saw how I was struggling to tip-toe so I could see the stage amidst the tall C ladies in front of me. One of the guards told me I could step on the barricade so I would be able to have a better view. Stepping on it actually made me 2 feet taller! 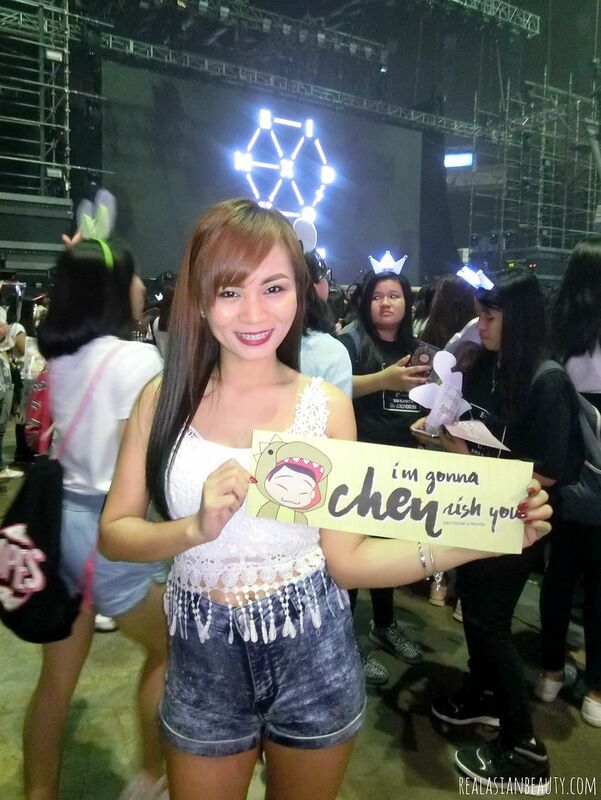 Gahhh, seriouusly though, I saw how mature and obedient Filipino EXO-L's are! 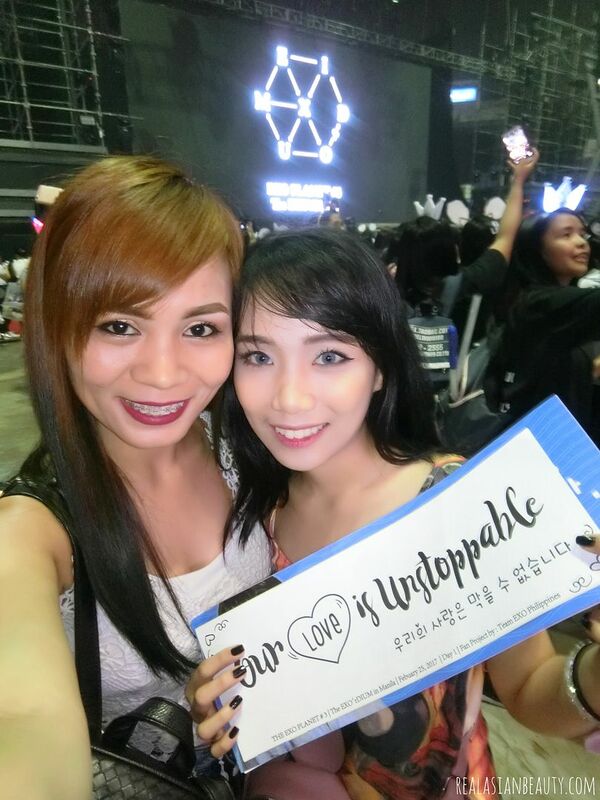 I don't mean to offend any non-Filipino EXO-L's reading this but I am just so proud of my fellow PhiXo! Since I was situated close to the guards and the exit, I witnessed how a LOOOT of K and C fans were caught by guards and were led outside for questioning because they were caught with DLSRs and long lenses. I also witnessed how some J fans brought Handycams and Professional Video cameras. C fans brought huge banners that they waved the entire night without even thinking of petite fans behind them who also paid for the same amount. 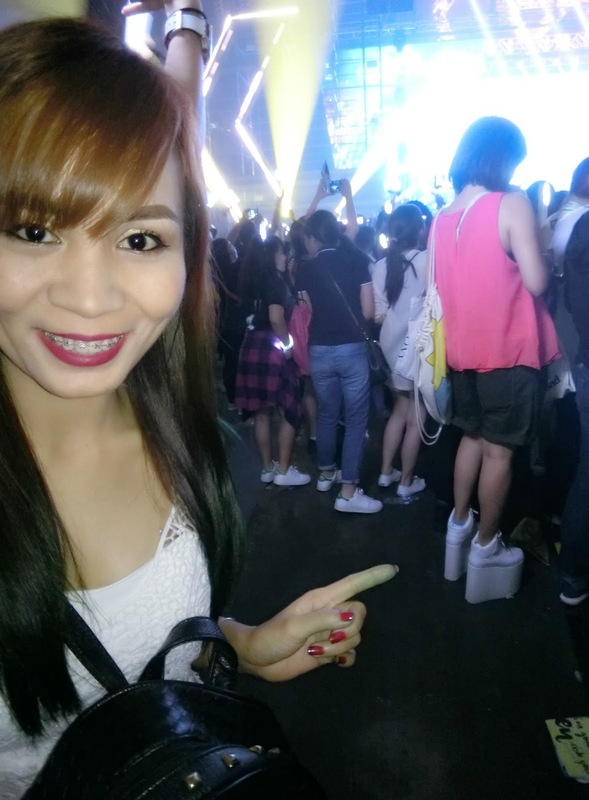 On top of that, some C fans even wore 12-inches-high shoes so they would have a better view of the stage. I mean, it's okay to be smart and resourceful, but your right always ends where the right of others begin, remember that. The fan is already tall to be begin with yet she still chose to wear 12 inches heels! Every security personnel that saw her actually shook head in disbelief. One even said that type of shoes must also be prohibited! Good thing, the security personnel allowed me and some other tiny girls to step on the barricade. We got a better view of the stage and the boys because of that. Take note, however, that we didn't block anyone's view when we did that as we were the last row in that area. Another story about one security personnel, though. Ta-Tagalog-in ko nalang para hindi naman masyado masira tayo sa ibang bansa. hehe Nung pinayagan ako ni Kuya Security na tumayo sa barricade, ilang beses niya ako binulungan ng "Basta Maám, ikaw na bahala sa akin ha?" "Ikaw na bahala sa pang-meryenda ko mamaya, ha?" Ayoooooon, may lagay. Sa akin naman, naisip ko, maliit na halaga lang para sa napaka-laking pabor sa akin ni Kuya na pinayagan ako tumayo sa barricade, sa liit ko na ito kasi, lugi talaga ako. Sabi ko sa sarili ko, Php 100 or Php 200, maliit kumpara sa nakita ko ng mabuti si Chen. Sabi ko sa sarili ko, sige bibigyan ko si Kuya mamaya. Pero nung tumagal, naisip ko, MALI EH. Korupsyon ito. Kotong ito. Du-Dute-Duterte ako, Cha-change is here ako tapos ako mismo, concert lang, mag-lalagay ako. Papalitan ko yung "mabuting loob" ng pera at ng lagay. Sabi ko nalang kay Kuya nung ilang beses pa din niya ako kinulit, "Opo, mamaya after ng concert." 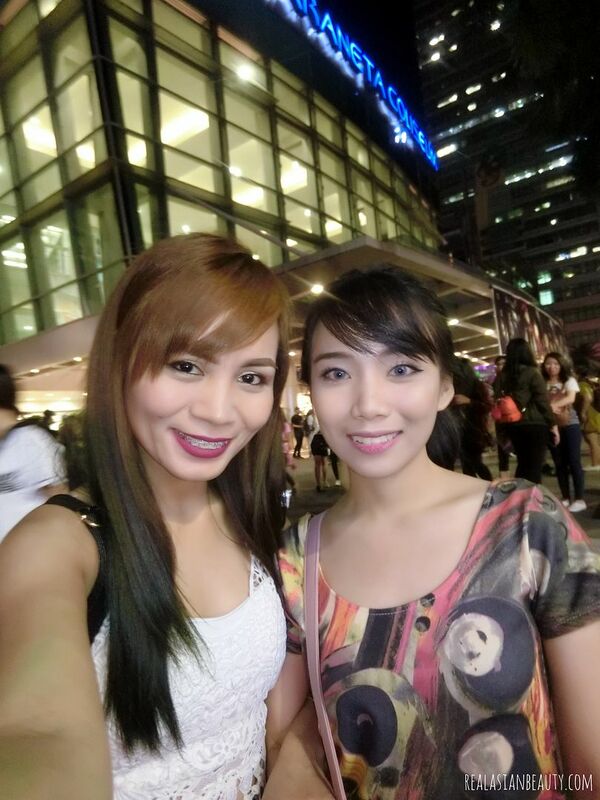 Pero pagka-tapos ng concert, umalis ako agad at hindi ko siya inabutan. Naisip ko, mali talaga kahit saan tignan. Hindi dapat laging may kapalit na pera at "regalo" ang mabuting gawa sa kapwa. Kahit sa maliit nalang na bagay na yun, naka-tulong man lang ako sa pag-bawas ng korupsyon sa Pilipinas. SANA. Here's a photo showing my view when on the barricade. I was able to see the boys better! 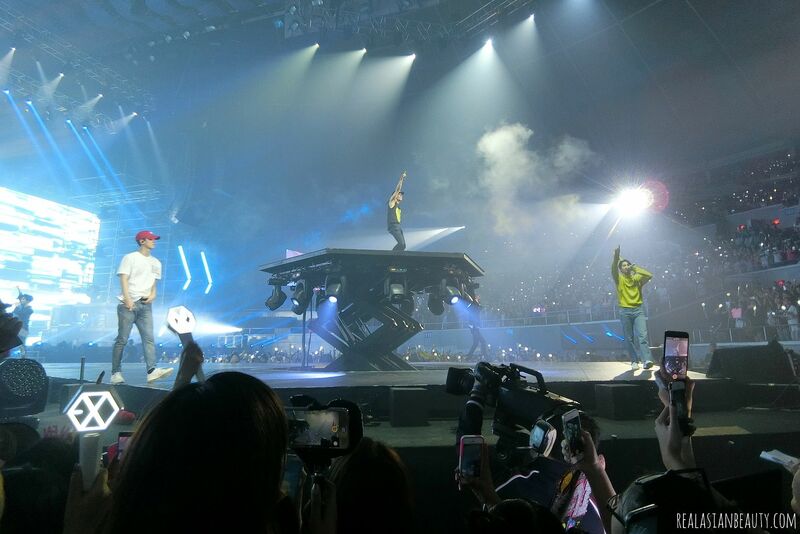 Oh my goodness, Chen, Chanyeol, Baekhyun, Kai and Suho were mostly in that area. So, you could say I got a pretty good stare at them. SUHO literally exuding light from her hand. 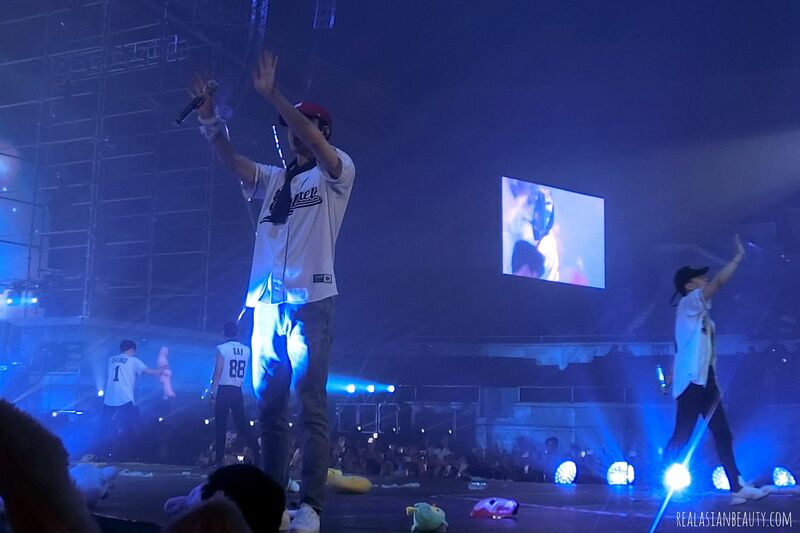 Sehun in a really casual jeans, white shirt and red hat ensemble. But he looked so hot, nonetheless! Beakhyun was funny and goofy the entire night, as always. Chanyeol was playful, too, but there's something about his permed hair that made his aura that night different. I really prefer him with straight, bouncy black or silver hair. Anything in between is a NO for me, my honest opinion, at least. 3 hours go by quickly, especially when you're having fun! I guess fans will never really have enough of their idols. If you had to wait for a year just to see something, few hours really won't suffice! I am so happy and grateful I got to experience this. 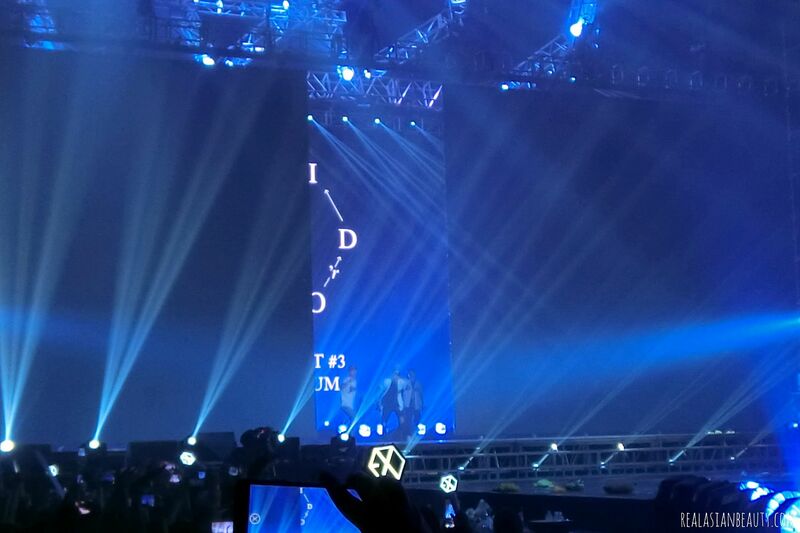 I almost lost hope I'd be able to see EXO live this year but I was given a really surprising blessing. A huge thanks to BeautyPlus Camera App for this wonderful experience! I feel humbled and blessed that I was chosen to work with you on this project amidst the rising popular bloggers in the Philippines. Thank you so much! Guys, don't forget to install and try BeautyPlus camera app now. 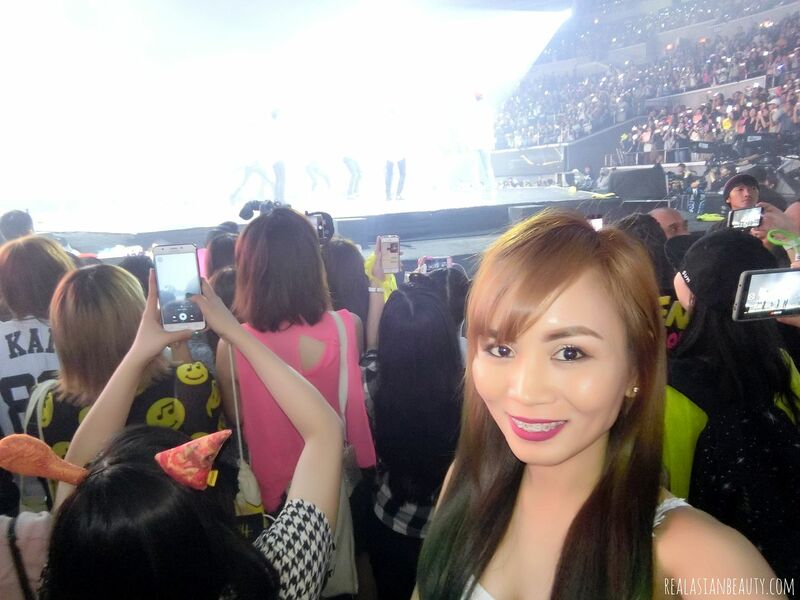 It works wonders on your selfies and on your K-pop fan girling life, too. Hehe! 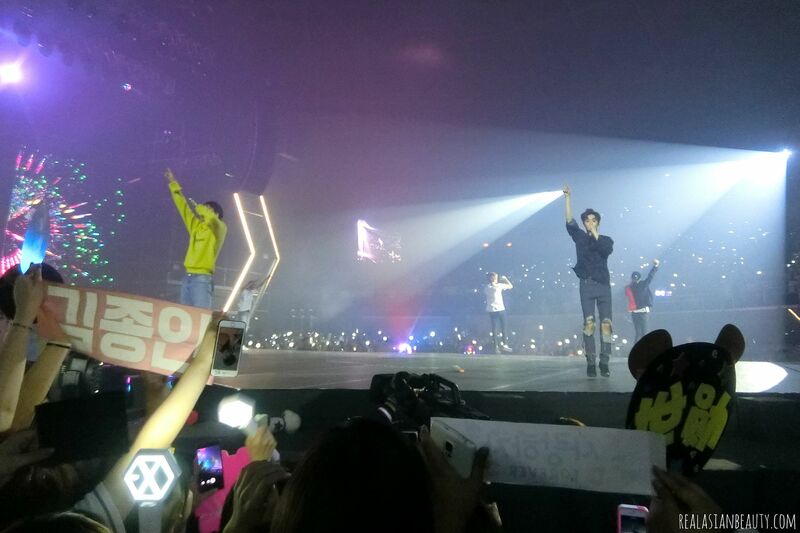 Thank you so much for reading my EXO EXO'rDIUM concert experience! I hope you enjoyed reading and watching the vlog. Don't forget to SUBSCRIBE to RealAsianBeauty on YouTube for more K-pop Vlogs. LIKE RealAsianBeauty on Facebook for more K-pop updates!